Too often, women wonder if the abundant life Jesus promised is buried somewhere beneath the piles of dirty laundry or the layers of crumbs and abandoned toys on the floor of the minivan. Overwhelming to-do lists--pay the bills, go to work, parent the children, volunteer at church, bake four dozen cupcakes before bed--can feel like weights around their necks. 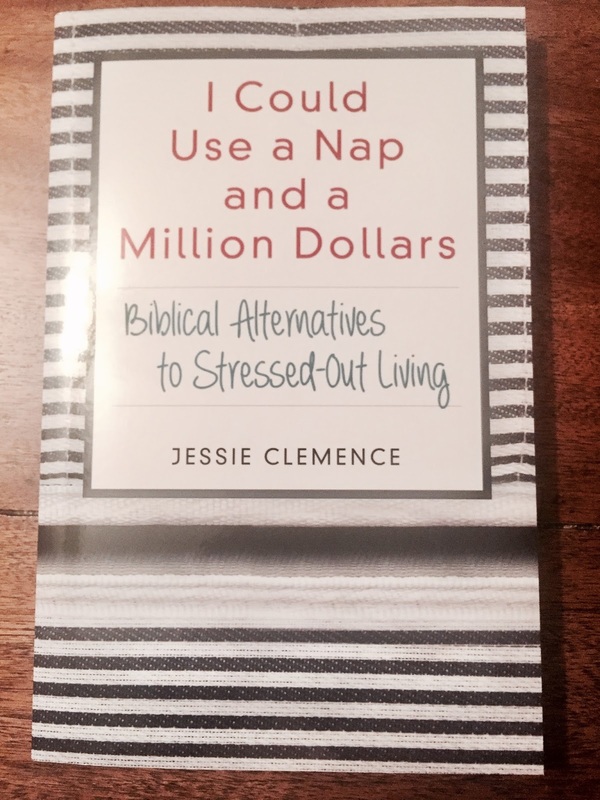 Jessie Clemence knows the struggles of women everywhere who are just trying to get through the million stresses--small and large--that come with living day to day. This funny, warm, and honest book speaks directly to them, and offers real hope. With hilarity and wit sure to make every mom chuckle in recognition, Jessie discusses what the Bible says about reactions to daily frustrations and God's expectations for Christians' lives. For any overwhelmed woman wanting a new way of handling life's crazy moments, God is waiting to offer abundant life, peace, and joy--all found through seeking Him. I Could Use a Nap and a Million Dollars will give readers a respite, time to laugh out loud, and a new focus on the God who can turn their stresses into blessings. My Thoughts: First of all, I have to start by saying that I was given this book so I'd be able to review it, but of course all opinions are my own. I was immediately drawn to the title of the bak and thought it would be a fun read. Jessie Clemence does a great job of talking to the reader and while this is a "self help book" it doesn't feel like it. I would I Could Use a Nap and a Million Dollars to be an enjoyable read and very helpful.